Fresh from our Belgian adventure, we arrived in Paris in the early evening of Easter Monday ready for some serious tourist action. 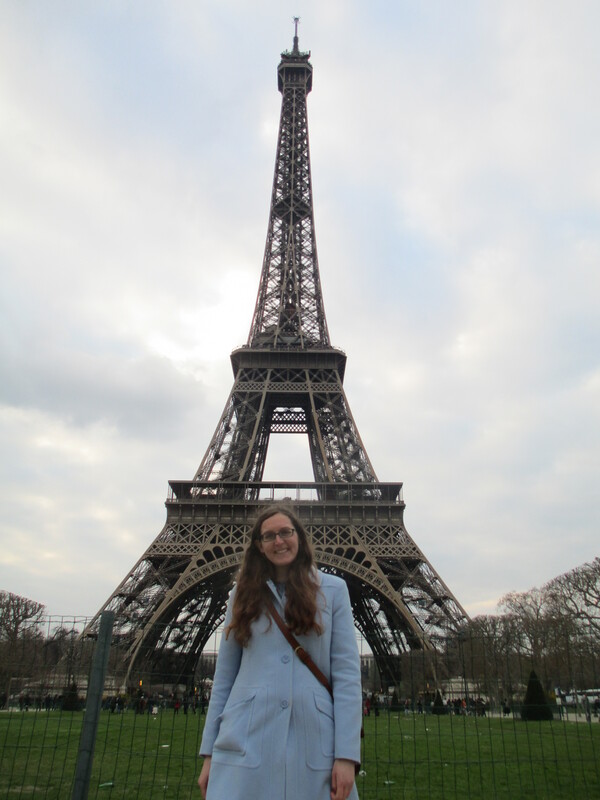 I’ve been to Paris a few times, but not for about ten years. It was nice to revisit the city older, wiser and better equipped to find the good food. And find it, we did! After making a beeline for the Eiffel Tower on arrival, we wandered to nearby Brasserie Lola (nearby = probably a 10 minute walk). 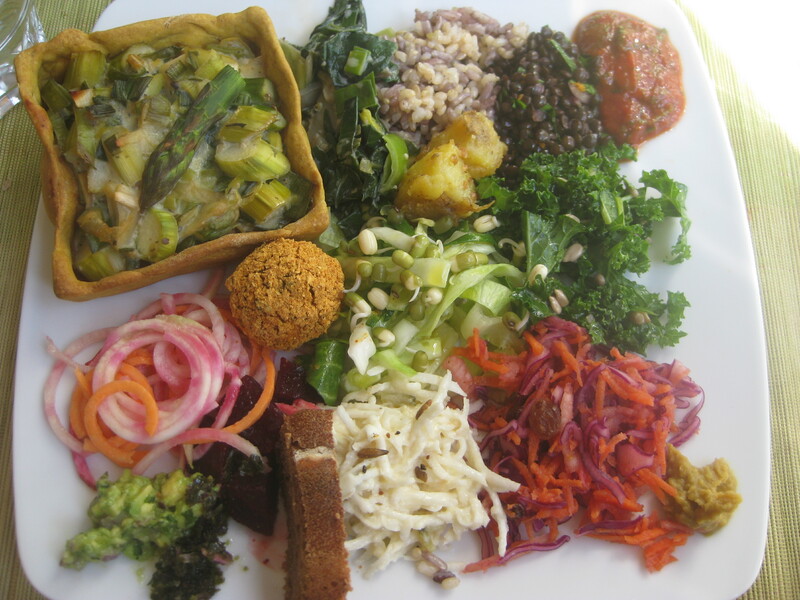 Nowhere on the menu or in the restaurant itself does it mention that it’s a 100% vegan establishment – we were pleased to be in the know! Indeed, it seemed to be mostly frequented by English-speaking tourists who had presumably sourced it on Happy Cow. Not in the mood for a large meal, my beau and I both opted for sandwiches. 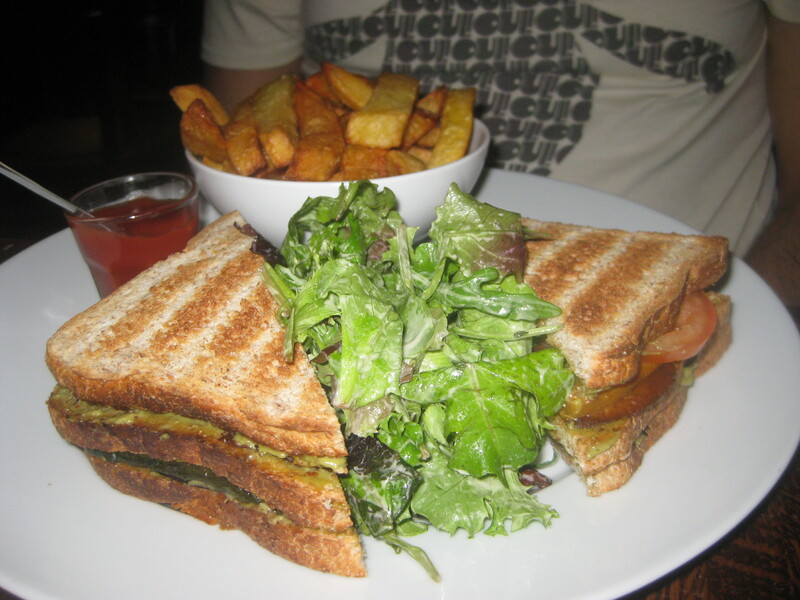 He chose the club sandwich and declared it delicious, packed as it was with roasted vegetables and avocado. I was rather bold, overcome by the Parisian air, and went for the most French thing I could see: croque monsieur. I’m not crazy about vegan cheese, but it was actually really nice and the cheese had successfully melted, which is always an achievement. 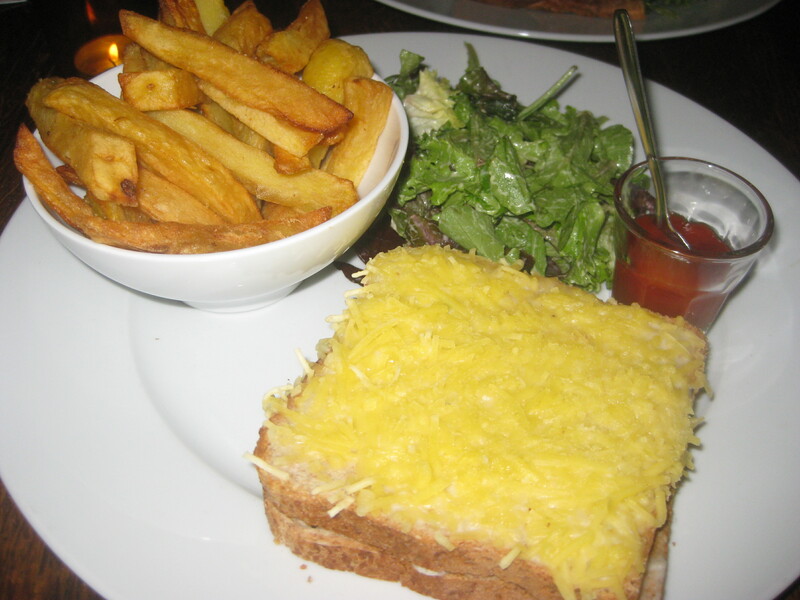 Both sandwiches were accompanied by nice crispy chips and a well seasoned salad. We continued our fancy Parisian theme with dessert, ordering two “gourmande” plates. 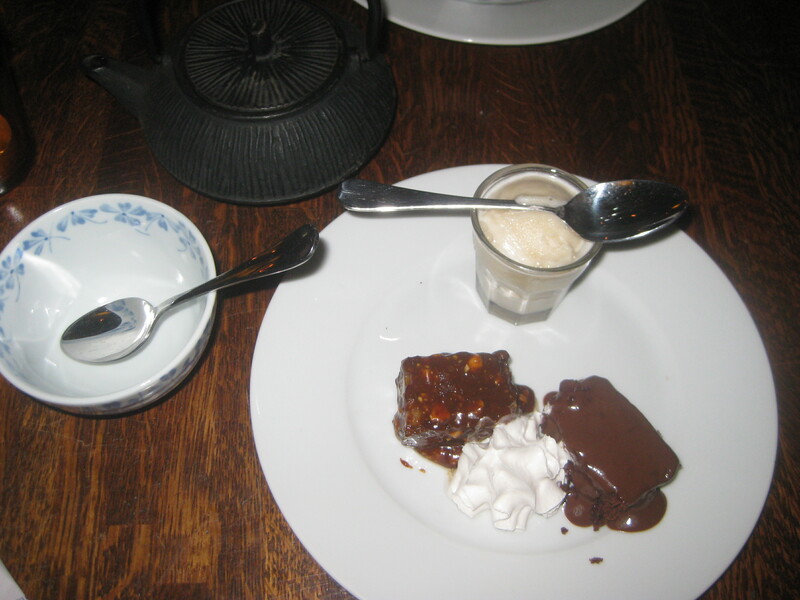 We were served a small piece of two of the desserts from the menu (chocolate cake and pain perdu), a shot glass of ice cream, some whipped cream and a coffee – or tea, if you ask nicely. The real highlight was the pain perdu, which was caramelised, sticky, gooey, delicious: all the good words you want associated with your dessert. I don’t know if I could have handled a full portion of it, so this was definitely the way to go. Despite the reputation the French have of being all snooty and not helping foreigners to understand, our interaction with the staff at Lola was the first of many encounters where we found the French to be delightful, helpful and friendly. While this was a good start to our culinary adventure in Paris, it got even better the next day with a lunchtime trip to Cafe Ginger. This was another place that we booked in advance via Facebook, and it’s just as well we did – it was rammed with people! It’s a very small cafe and has a busy lunch service, which largely seemed to be locals rather than tourists. Although we were in the minority, the waitress was lovely and helpful, translating the dishes into English and explaining how everything worked. 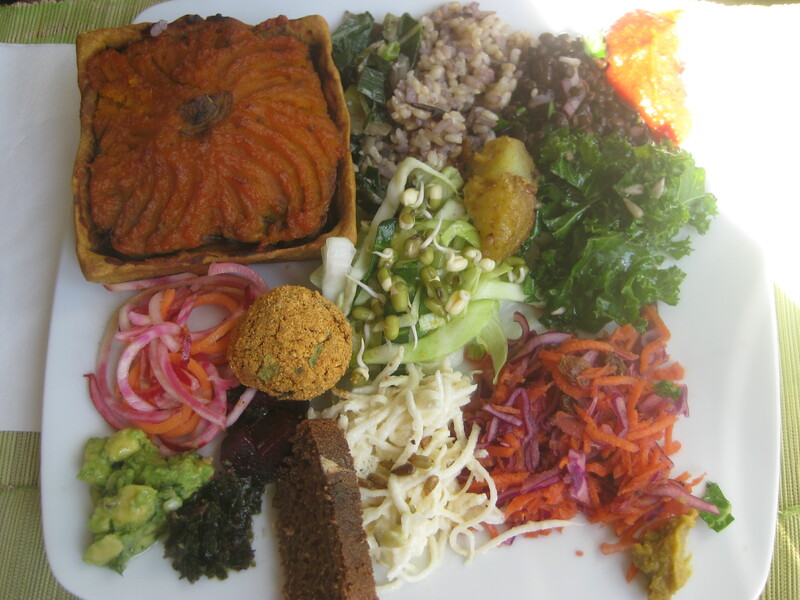 They offered two different kinds of savoury tart, or a salad plate. Obviously we chose tarts. We were given the freshest, prettiest, tastiest dishes imaginable. My fellow got the pumpkin tart, which had good crisp pastry, a layer of mushrooms and courgettes and pillowy pumpkin on top. I had the leek, asparagus and courgette tart which was so green and spring-like. Both dishes came with the same salads: a surprisingly dry falafel ball, some really nice bread, good rice and lentil salads, a Japanese inspired radish and beetroot salad, some zesty shredded beetroot and carrot, two tasty potato bites, some good old kale, other green veg and a spicy little dollop of salsa. Everything was fresh and beautiful. At 14.50 it’s not a cheap lunch, but you definitely get your money’s worth. What we had seen so far boded pretty well for dessert, so we split the mango and coconut cheesecake and a chocolate terrine. 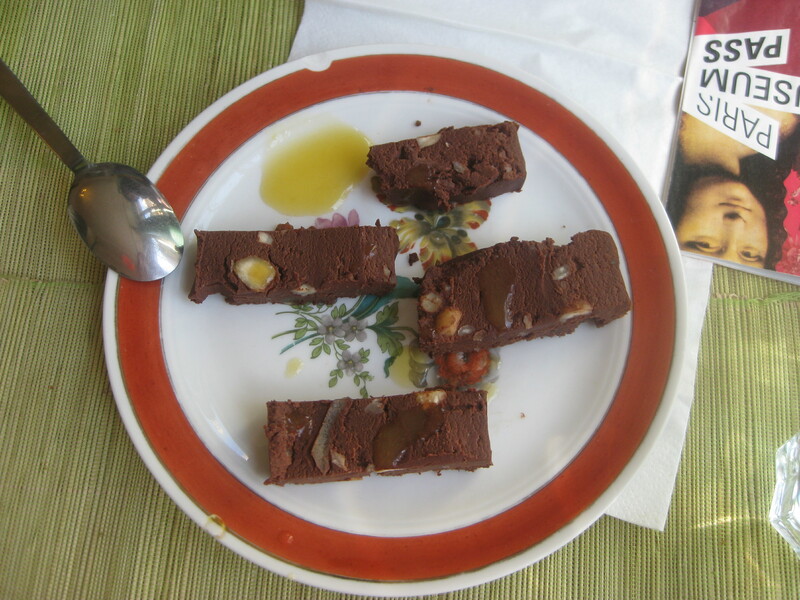 As usual, I’d expected the chocolate to be the highlight. It was a small portion, but rich enough that you didn’t need more. It was everything I’d hoped for. 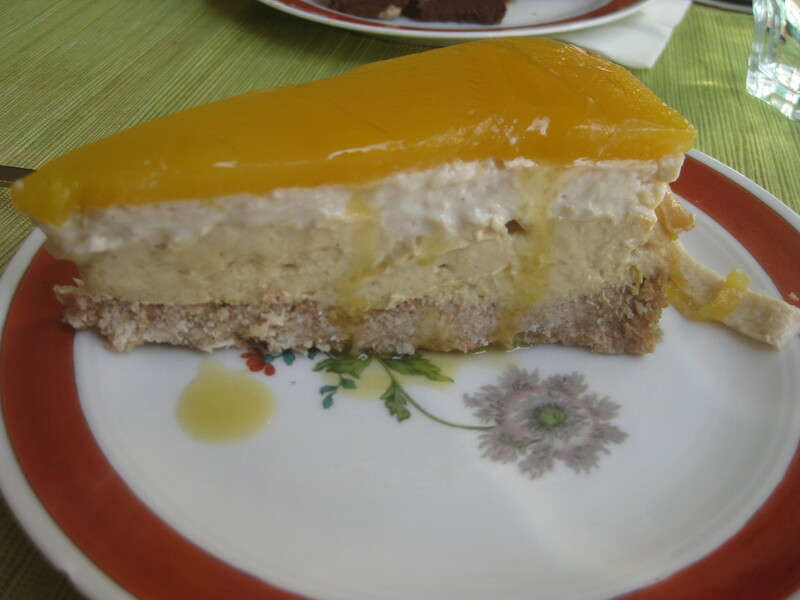 But the cheesecake had that extra je ne sais quoi. The tropical flavours were perfect for the summery weather, the flavours were really strong and the base was good and biscuity. We couldn’t have asked for more. 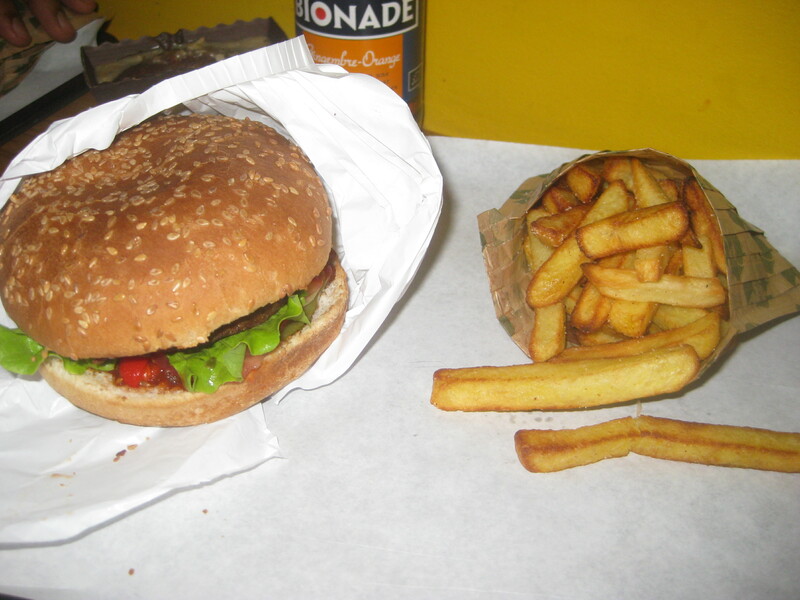 That evening we went for a less fancy option at Hank’s Vegan Burger, near the town hall. If Cafe Ginger was small, this place was miniscule: it’s a fast food place with a counter with two stools, and three tiny little tables pushed together, seating a grand total of six with little space between you all. It’s intended as a takeaway, but we wanted somewhere indoors to rest our feet, so we grabbed those stools and guarded them with our very lives. There are four burgers on the menu, and a burger of the day. 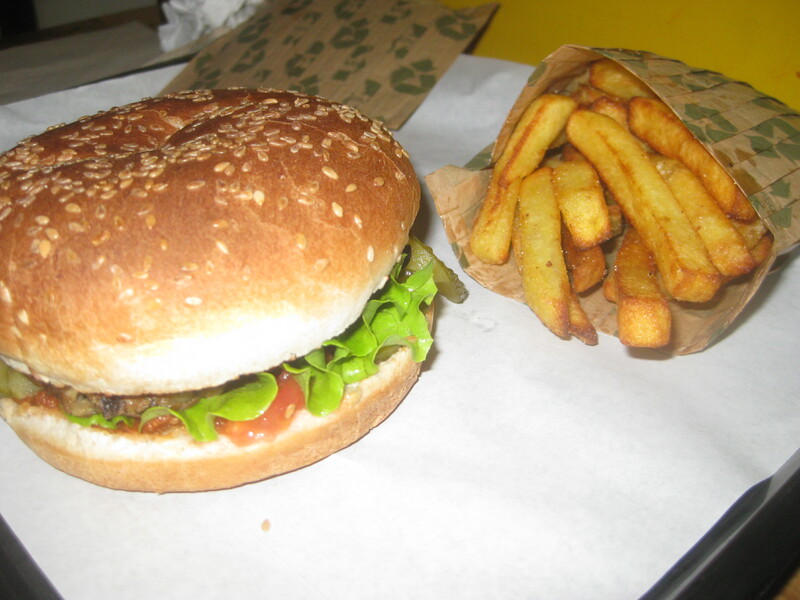 I had the smoky pepper burger, which had quite subtle flavours and was quite tasty, but lacked in texture – it was all soft and mushy, without that nicer outer crisp. Mr HH had the olive burger, which to me was packed with olive flavour, but to him was a bit bland and not as exciting as he’d hoped. We both agreed that the chips were good though! All in all, it was good fast food, but nothing special. Still, it’s always nice to go somewhere that’s all vegan and not have to worry. More to come on the food front, but we did a few touristy things between feasts. I’d been to Paris a few times before, while Mr HH never had, so we were trying to strike the right balance. 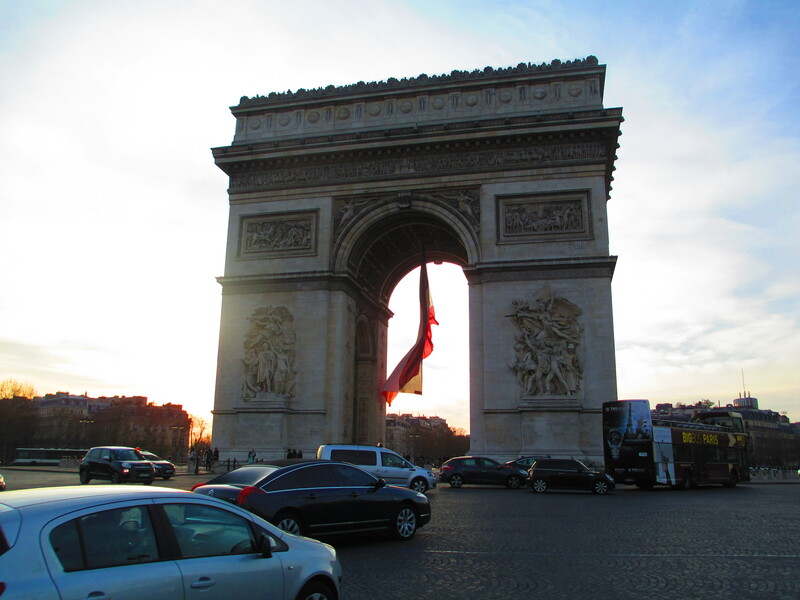 We viewed the Eiffel Tower but decided against going up, opting instead to climb the Arc de Triomphe. Considering that Mr HH wasn’t exactly bowled over by the Parisian skyline (and we needed some exercise after lots of treats! ), this was probably a wise choice, as it was also included in the Museum Pass. We went to the Louvre of course, queuing up before opening time. I had mixed feelings about it – the main attractions were just surrounded by a scrum of selfie sticks, and there were a lot of portraits, which I always find quite exhausting. 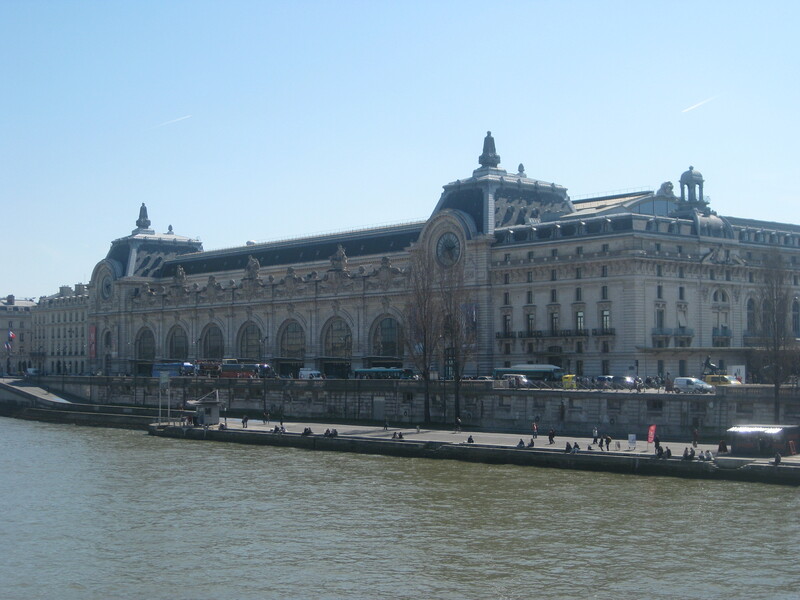 Winged Victory was majestic, and there were lots of interesting sculptures and statues, but when it comes to art I thought Musee d’Orsay was far superior: lots of Monet and Van Gogh, all inside a wonderful bright building. 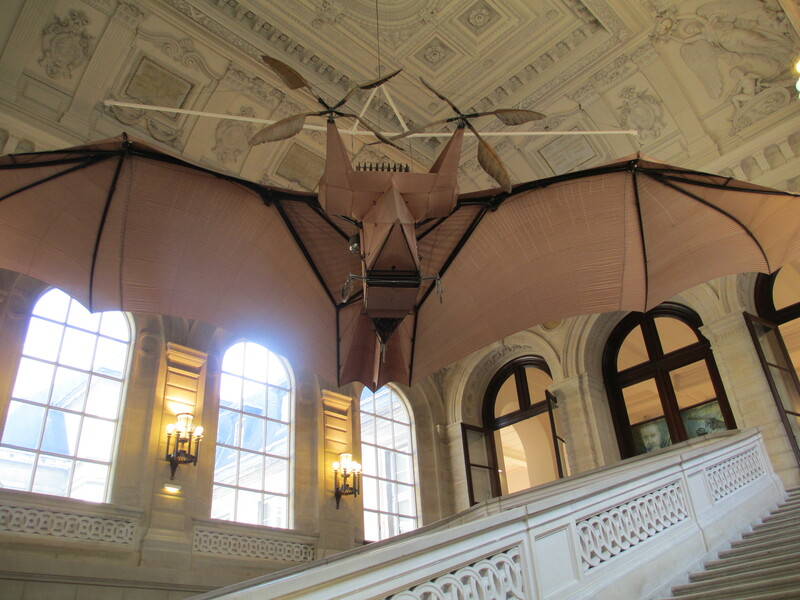 We went to the Musee des Arts et Metiers, which had a cool pendulum and some exciting flying contraptions, but wasn’t quite as science-y as my science teacher beau had hoped. Nor was the Museum of Medical History that exciting: none of the usual gore and curiosities you’d expect. 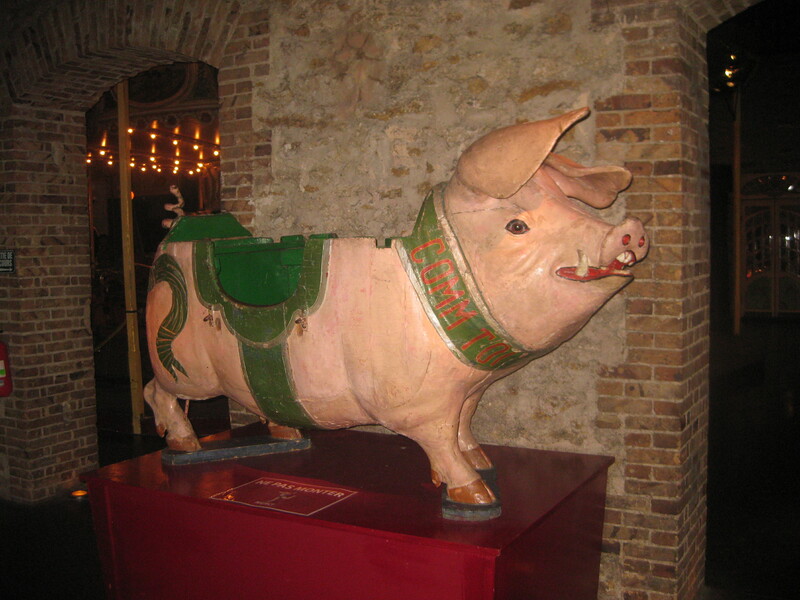 The Musee des Arts Forains is by appointment only and had some cool old fairground attractions, but rather than a 90 minute tour it would be better viewed at a casual saunter in 30 minutes or so. It also costs more than the Louvre, which just seems crazy. We also stopped by Notre Dame and Sacre Coeur, of course. 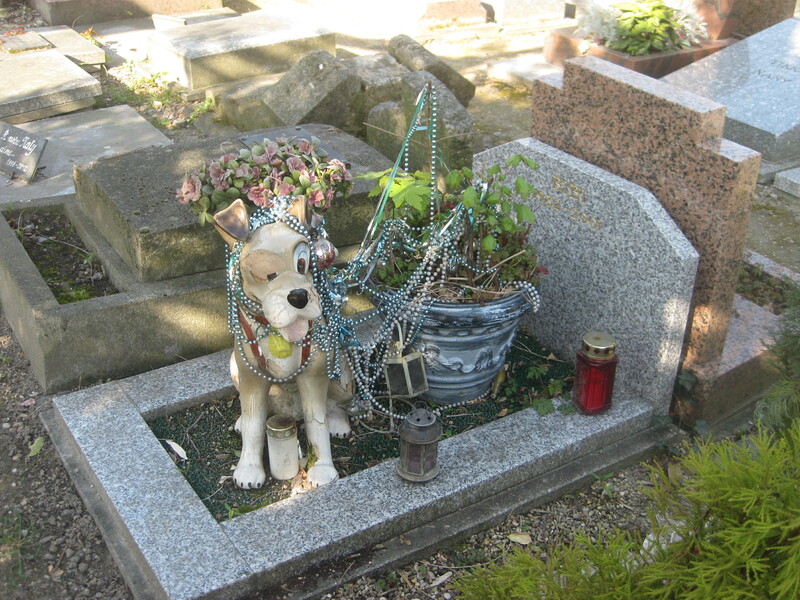 One of the most interesting sights was the pet cemetery, which is a bit of a trek on the Metro, but worth it for me. It’s chiefly a resting ground for dogs, but there are a few cats in there as well, and even the odd monkey, hen or horse. It was quite touching to see the monuments people had built in memory of their loyal companions, but also a little sad as I wondered if investing so much in the memorials prevented the owners from moving on. This entry was posted in Travel and tagged Brasserie Lola Paris, Cafe Ginger Paris, Hank's Vegan Burgers Paris, vegan Paris, vegan travel. Bookmark the permalink. It’s been too long since I’ve been to Paris and I keep hearing about how much more vegan friendly it is now and about the great vegan restaurants there are. I’m particularly taken by the dessert up there, that looks amazing. I love anything where you get to try a bit of lots of different things! Also, that tart does look great too. Looking forward to part two of the odyssey! I love it when a place surprises you like Paris did. Before I went, everyone warned me that I wouldn’t get good food. I’m pleased that wasn’t the case!